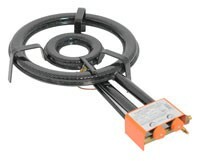 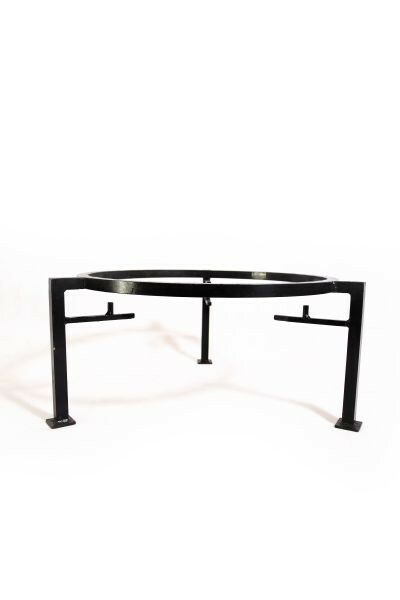 A safety gas burner with a 38 cm diameter, suitable for indoors and professional catering. 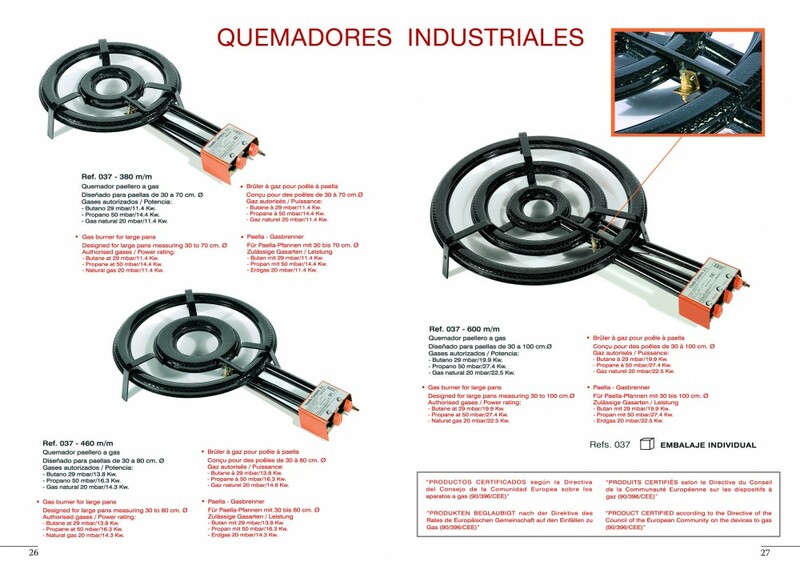 European brand name quality from Spain. 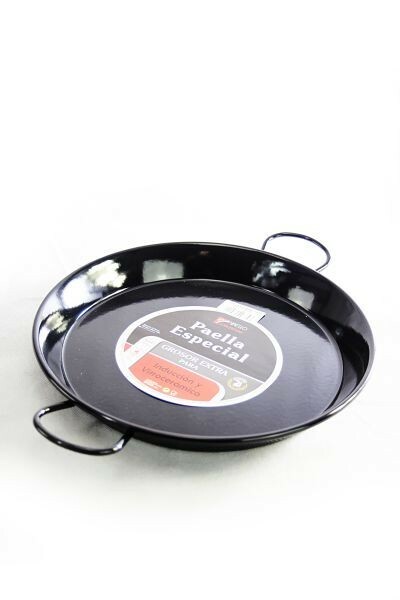 This top quality product from Spain is used in Spanish restaurants for cooking the famous paella. 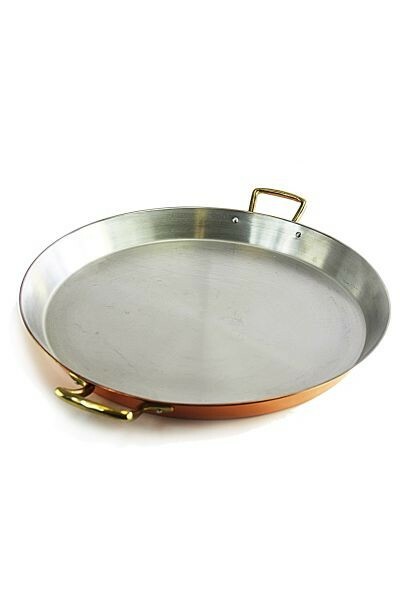 Due to the identical safety requirements according to the respective European rules and standards, the equipment can also be used in the German food industry and indoors. We supply this special professional gas burner in three different sizes from 38 - 60 cm and refitted with the screw thread for the German DIN standard gas connection and gas pressure. 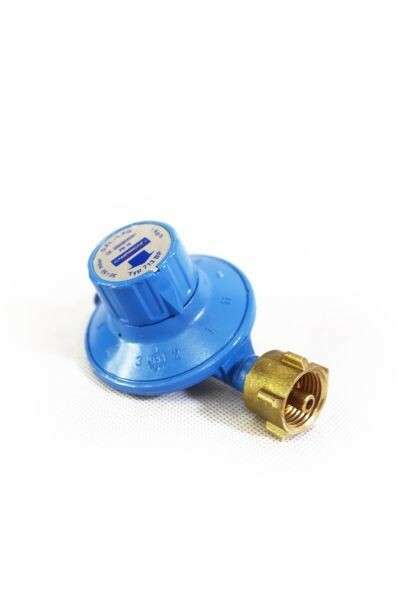 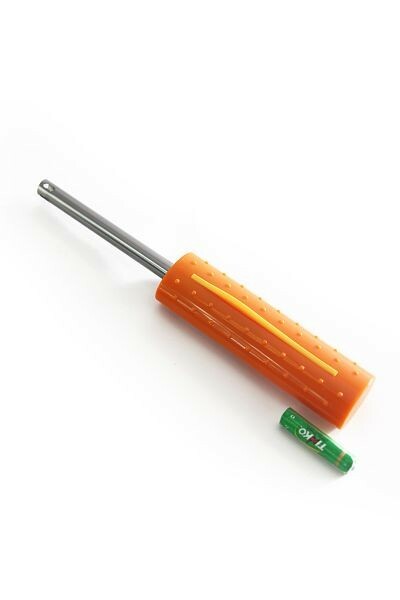 You can screw on any commercial gas hose, connect the gas burner to your gas cylinder and start cooking or distilling. 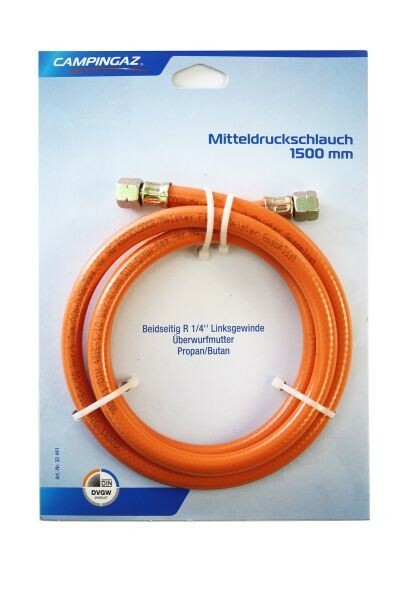 Shipment without gas hose. 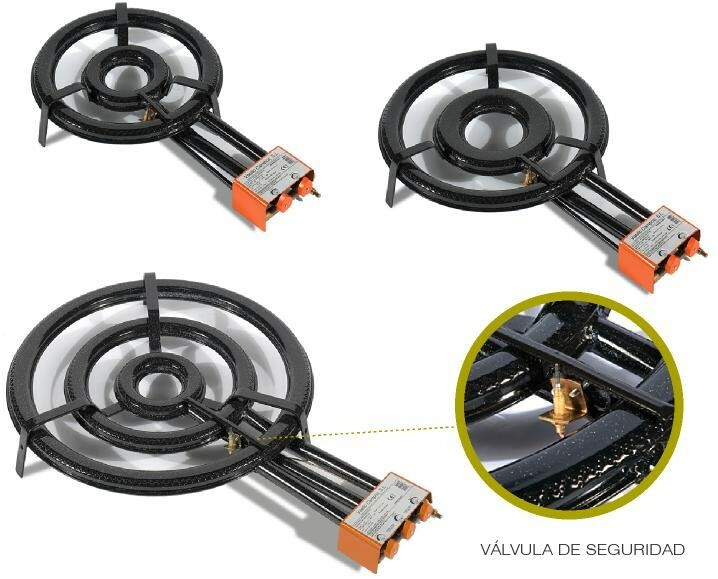 The burner rings can be independently regulated.